Three Members of the European Parliament have tabled a question to the European Commission asking whether after reading the Venice Commission’s report on Malta they now are willing to “engage in a constructive dialogue under the rule of law framework”. That’s euro-speak for effective pressure on Malta to undergo reforms or face political consequences. The question submitted by MEPs from three political groupings, including the parties where Malta’s Labour and Nationalist parties are members, follows very soon after a European Parliament resolution approved just last week calling for financial penalties for EU countries that widely undermine the rule of law. The MEPs also pointed to a series of recommendations for reforms in Malta made by the Venice Commission. 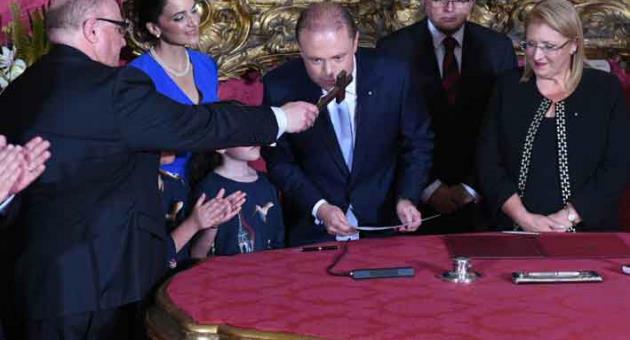 The Venice Commission was brought in to advise on Malta’s constitutional and legal framework after a request by Pieter Omtzigt, rapporteur for the Parliamentary Assembly of the Council of Europe on the investigation into the assassination of Daphne Caruana Galizia and the rule of law in Malta. MEPs Lenaers, Gomes and Macovei asked the European Commission the extent to which it agrees that there is a serious risk for the rule of law in Malta. A ‘constructive dialogue on the rule of law’ is the process that would precede a ruling by the Commission that a clear risk of a serious breach of the rule of law exists in a Member State. The rule of law is one of the fundamental values upon which the European Union is founded. The Commission, beyond its task to ensure the respect of EU law, is also responsible, together with the European Parliament, the Member States and the Council, for guaranteeing the fundamental values of the Union. Before considering the sanctions provided for in the EU treaty, the Commission tries to find a solution with the Member State concerned in order to prevent the emergence of a systemic threat to the rule of law that could develop into a “clear risk of a serious breach” which would potentially trigger the use of the ‘Article 7 Procedure’. The Procedure foreseen under Article 7 of the Treaty on European Union aims at ensuring that all EU Member States respect the common values of the EU, including the Rule of Law. It foresees two legal possibilities in such a situation: a preventive mechanism in case of a “clear risk” of a serious breach of the EU’s values and a sanctioning mechanism when the risk becomes reality. Where there are clear indications of a systemic threat to the rule of law in a Member State, the Commission can launch a ‘pre-Article 7 Procedure’ by initiating a dialogue with that Member State through the Rule of Law Framework. That would come in three stages: assessment, recommendation and follow-up. MEPs are now challenging the Commission to say whether that process should now be started given the shocking findings of the Venice Commission. Read more about the Venice Commission report on Malta here.